I just got Edric’s 9th package mailed off earlier this week to travel with a family this weekend. We got photos of Edric last week and showed him playing with the rings and clutching the photo book that we sent in package #8. He should get this package at the end of August when he goes in for his monthly visit. I’ve already started planning and gathering stuff to send for package #10. I think one of the snags that I’ve been running into with the packages is what to send to foster mom. I’m kind of running out of ideas. A couple of weeks ago Clint and I had a rare date night and after a good dinner walked the mall trying to come up with ideas. 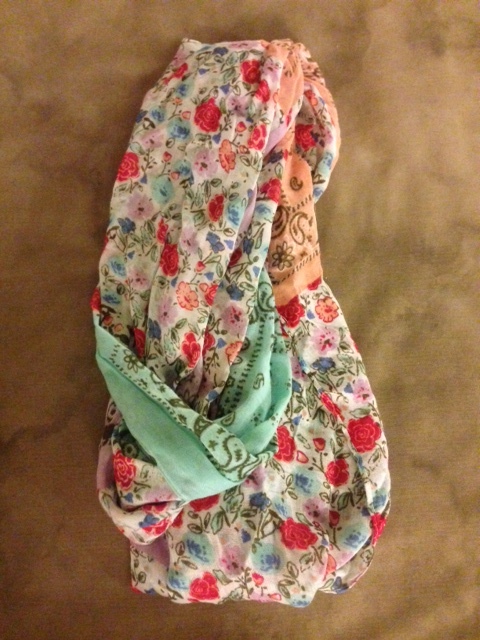 I found a scarf that I thought (hope) that she might like and got that. 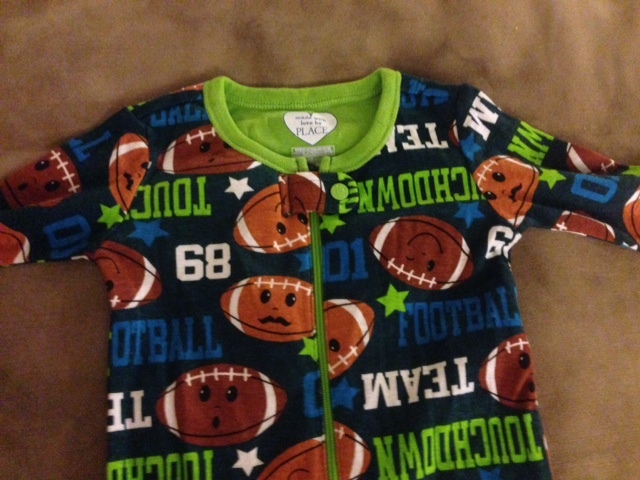 With football season starting, we got all 3 boys football jammies to wear. 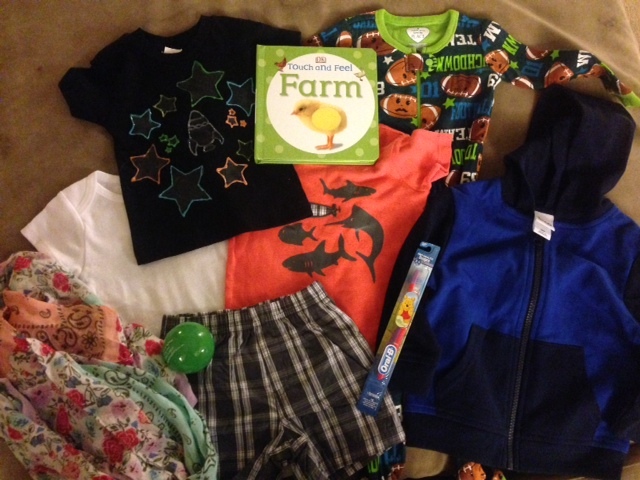 Leighton and Caedmon wore their jammies last night to watch the start of the Bronco game and I mailed off the matching ones for Edric in this package. 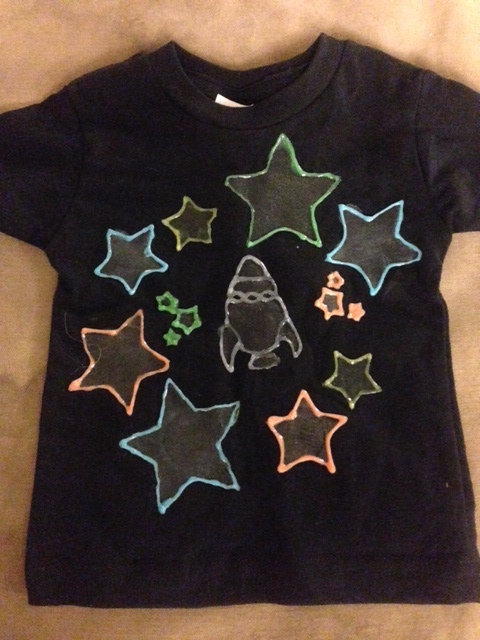 I think they might be a little big for him, but hopefully it’s ok.
For Leighton’s 5th birthday we did a space theme and as part of that I made t-shirts for the guests with stars and rockets on them that glow in the dark. I made Caedmon and Edric a t-shirt as well. 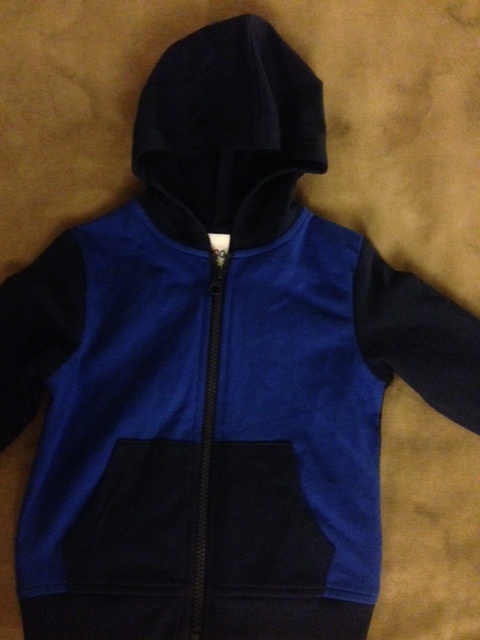 It’s still warm in Seoul, but I figure the mornings will start to cool a little in September so I found a great deal on a little hoodie coat and included that in this package. 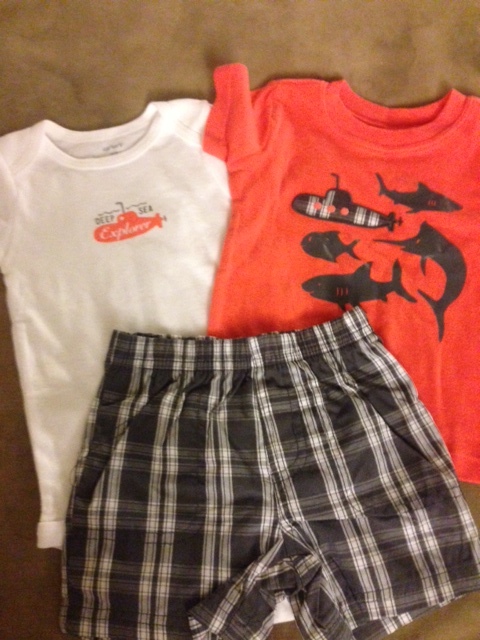 I did still send a short set as well though with little tshirt and onsie. 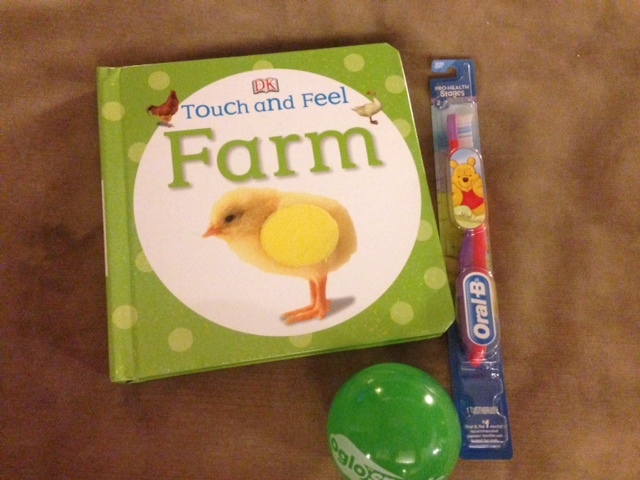 I added a book, toothbrush, and glow in the dark green ball to round out the package. I realized a little late that I was rather clothes heavy in this package so I started to look for things that are more fun to include next month. We also made a little video of the four of us playing, running on the slip-n-slide, reading bedtime books and just talking with Edric and letting him know that we love him and can’t wait to meet him. I hope that despite being on different continents the foster family is able to play the video and hopefully it helps Edric see who we are and prepare for that transition. And so here’s package #9. So thankful for families willing to take the packages with them when they travel for their court dates. I live month to month on a few photos and hopes that he likes what we sent and that with each package sent we are one step closer to bringing him home.